I absolutely loved the premise for this story – a New York City vegan (with little practical knowledge of farming) buys a farm to create an animal sanctuary and ends up falling for his ex-Amish farmhand. I really wanted to love this story. 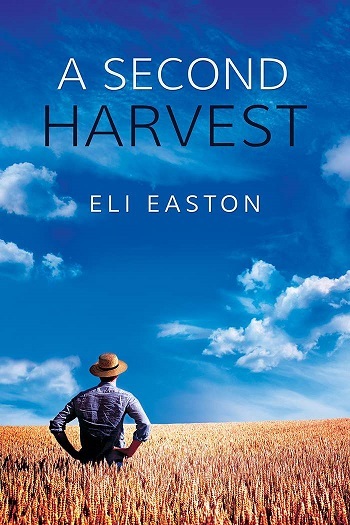 Surprisingly, however, for an Eli Easton book, I found this quite difficult to get into. I’m not sure we get enough character development at the start. Eddie doesn’t become more than a slightly cliché urban animal rights activist for much of the story and I didn’t understand his motivation or his actions half of the time. There isn’t much to make him a sympathetic character and we don’t see much of his humanity in the first half of the book. As a small town girl, his bizarre and idealistic farming decisions were irritating and I kept wondering why he didn’t ask Samuel’s advice once he knew how much experience the other man had. I understood Samuel and I fell in love with him almost immediately. I found his struggle to come to terms with his sexuality and his grief at the loss of his family and community really moving. The author actually seems to capture the immense loss he experiences as much as she allows him to move forward and enjoy new experiences. But while Samuel is a more developed character, he is too shy and too cowed to communicate properly with Eddie for much of the story. So, Samuel keeps his extensive farming knowledge and experience to himself and Eddie makes stupid decisions that don’t help the farm at all. The lack of communication is frustrating and I kept waiting for Samuel to become a partner rather than a farm hand. The conflict in this story lies in Eddie’s struggle to create an animal rescue and sanctuary that is self-supporting. The 2017 solutions are bloody obvious from the first pages – and while the Amish teenager knows what needs to be done, the big city editor with great connections apparently doesn’t. Eddie’s financial struggle felt like conflict for the sake of conflict and I found it frustrating. For most of the story, the farm doesn’t grow, Eddie turns away animals, and ignores the obvious solutions. There are a few romantic scenes in this story, but the focus is more on the farm than the romance. I’m not sure Samuel ever truly feels like an equal partner but in later chapters he does start using his initiative and acting independently. I loved the animals on the farm and I really enjoyed the story once the animal sanctuary started to grow and take in more animals. For reviews & more info, check out our A Second Harvest post. 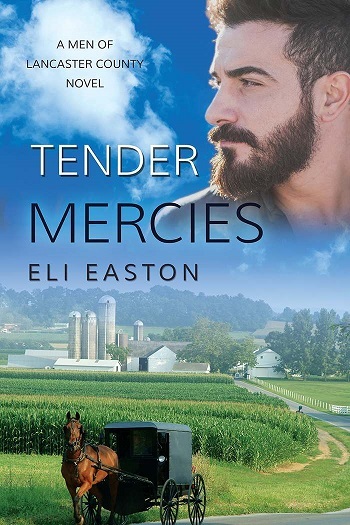 Reviewers on the Wicked Reads Review Team were provided a free copy of Tender Mercies (Men of Lancaster County #2) by Eli Easton to read and review. Thanks for the review. My favorite farm animal is goats. My grandmother used to raise them and I loved helping. Goats are so entertaining. Horses are lovely, goats are funny and pigs are smart. Any of those I guess. I'll choose goats they cute and also they will eat almost anything. I don't have a favorite, but horses are beautiful, graceful and fun to be around. I don't have a favorite as well, but horses always fascinate me. They're so majestic. Horses and sheep, they look so cute. I like horses because they are beautiful and intelligent. Horses because they're smart and beautiful.